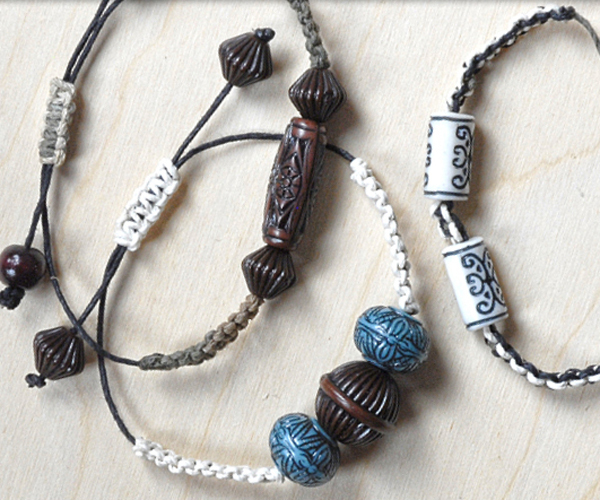 Start with a simple square knot, then create colorful beaded bracelets! 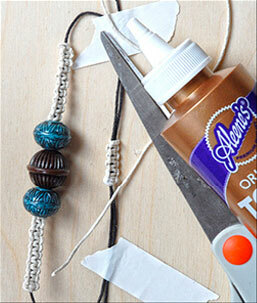 Make multiple bracelets and wear them stacked, or use longer cords to create headbands and necklaces. 1. 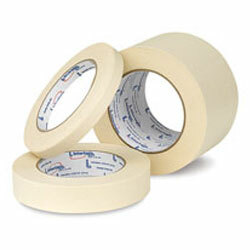 To establish length, wrap the cord loosely four times around your wrist, then cut. 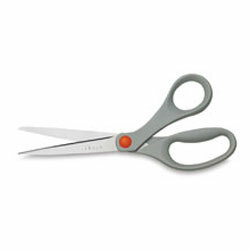 Make three cords of this length. 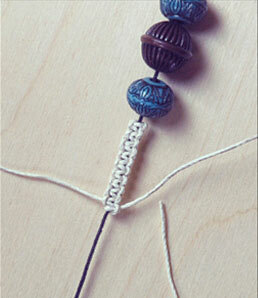 Tie a loose knot about halfway down one of the cords, then add beads. 2. 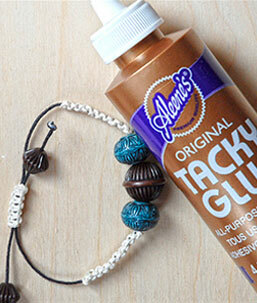 Tape the beaded cord to your workspace. 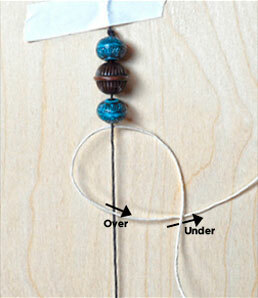 Lay the second cut cord underneath the first with the beaded cord in the middle of the second cord. 3. 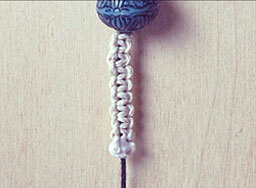 The knot used to make this bracelet is called a square knot. 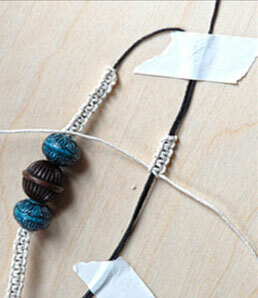 Start by crossing the left side of the string over the middle and right cord. 4. Slide the right cord under the middle cord and left cord and through the loop made by the left cord. Pull tight. 5. 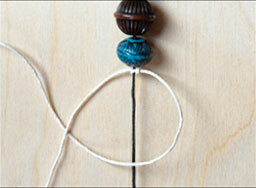 Make the same knot starting with the right cord. Move the right cord over the middle and under the left. Then move the left cord under the middle and right and through the loop. Pull tight. 6. 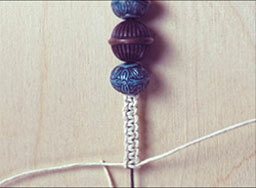 Repeat steps 3–5 until your desired length is achieved (it should 1/2 the length of your bracelet). 7. 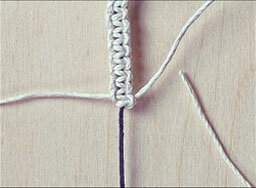 Tie a tight knot using the right string and middle string. 8. 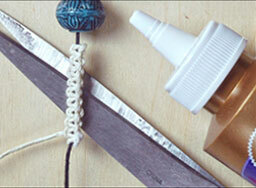 Cut the right string close to the knot and dab some craft glue onto the knot. 9. 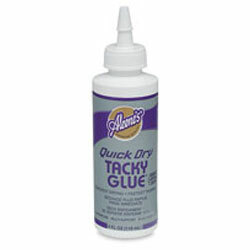 Do the same with the left string. 10. 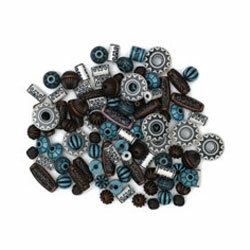 Remove the bracelet from your work surface and turn it over. 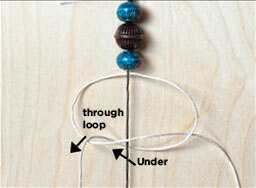 Undo the loose knot you made in step one and then repeat steps 2–9. 11. 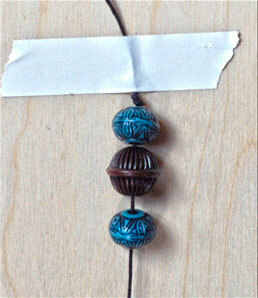 Lay the ends of the bracelet alongside each other as shown. 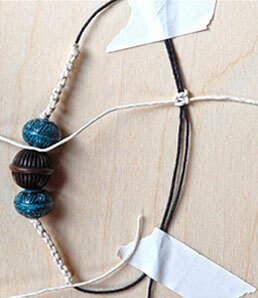 Cut a 12" cord and lay it under your bracelet cords. 12. 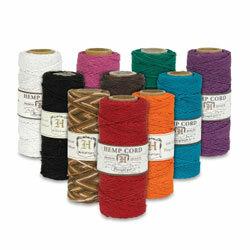 Using the two bracelet cords as the middle cord, make a short length of square knots as shown in steps 2–6. 13. 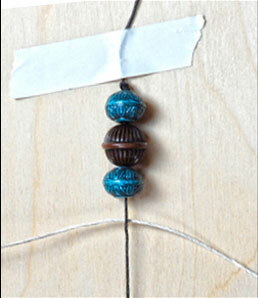 Knot, cut, and glue as shown in steps 7–9.